But the mortgage process can be somewhat daunting for a first-time home buyer. From comparing interest rates to dealing with appraisers, home inspectors and termite experts, a lot of work goes into buying a home. In an effort to demystify this process, we’re going to walk you through the general steps of obtaining a mortgage and closing on a home. Contrary to what some people may believe, the mortgage process actually begins before an offer is made to purchase a home. 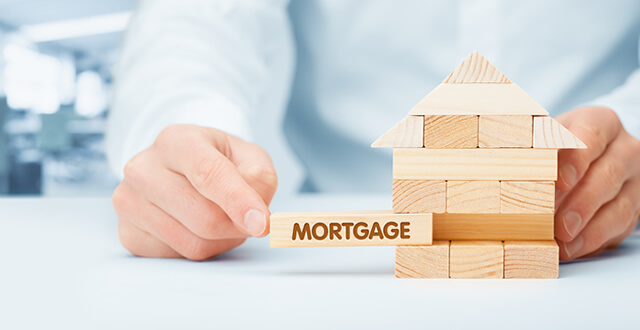 From the moment the individual or family decides they want to buy a new home, they should talk with their bank or financial institution about getting pre-approved for a mortgage loan. Many homebuyers skip this step, waiting until an offer is already made to contact their bank. In doing so, however, they run the risk of losing their desired home to a buyer who is already approved for a loan. The next leg in the mortgage process involves making an offer on the home. Also known as a purchase agreement, this is a formal, legally binding document in which the buyer agrees to purchase the seller’s home for the specified price. Purchase agreements typically include the sale price and closing price, as well as contingency details like pest inspection, home inspection, etc. In some cases, the buyer may also be required to provide a payment check of earnest money, which is either applied to the closing cost if the sell goes through or returned to the buyer if it does not. After obtaining a purchase agreement, the buyer should contact his or her bank to initiate the mortgage. Most banks require homebuyers to submit several documents, including verification of employment (e.g. paystubs), W-2 forms, social security letters, bank statements, the purchase agreement, proof of homeowner’s insurance (only applicable if you’re refinancing a home). Buyers should talk with their bank’s representatives ahead of time to determine exactly what documents are needed to facilitate the mortgage process. After submitting the necessary documents, the bank will provide the buyer with a “Good Faith Estimate.” As the name suggests, this is an estimate of the closing costs associated with the home. Around this same time, the buyer and bank will agree to an interest rate on the mortgage. Mortgage rates fluctuate on a daily basis, which is why it’s important for homebuyers to keep an eye on the current rates. Most banks allow homebuyers to lock in a mortgage rate up to five days before the actual closing. Processing a mortgage can take weeks. The bank’s loan processor must gather the homebuyer’s documents, validating them for authenticity. The bank will also hire a title company to check the home and property, making sure there are no liens on it from the previous owner. During this time, a home inspector will inspect the home to ensure it’s safe and up to code. The final step in the mortgage process is closing on the home. The homebuyer will be asked to complete numerous documents during this time, crossing all of the X’s and dotting all of the I’s. Depending on the homebuyer’s financial situation, he or she may set up an escrow account to bundle the mortgage and property taxes into a single monthly payment. While the total amount paid remains the same, opting for an escrow is more convenient since the property taxes are bundled into the monthly mortgage payment. When the buyer is finished signing the documents, he or she can walk away with keys to the home! Real estate agents are required by law to report all property sales to the Internal Revenue Service (IRS). If the seller is an individual selling his or her home, they will need to provide you with a social security number for tax purposes. If the selling party is a corporation, however, they will need to provide you with an Employee Identification Number (EIN). Under the Foreign Investment in Real Property Tax Act (FIRPTA) of 1980, sellers who are not legal U.S. citizens may be required to pay a 10% tax at closing. This tax is typically withheld during the closing process. Review the loan documents before meeting with the buyer and seller to ensure the contents are accurate and factual. Incorrect wording may force the closing agent to go back, edit, and print a second copy, further prolonging the already time-consuming process of closing on a home. The closing real estate agent should ask the both the buyer and seller about their marital status. Doing so will expedite the deed’s execution. It’s not uncommon for sellers to leave behind personal property. When this occurs, the closing real estate agent should use a form 34 addendum to state the seller agrees to leave behind the item(s) at no monetary value. When completing the sale contract, use the legal names of the buyer and seller, not nicknames. Furthermore, if either party is planning to get married, divorced or have their name changed during the closing process, they should notify the closing agent, as this will affect the writing of the load documentation. Mortgage documents often require notarization, so make sure you have the name and number of a mobile notary public on hand. Unlike stationary notaries, mobile notaries meet their clients at a location of their choosing, which is particularly beneficial when closing at home.